Even at the lowest volume level, the sound was too hot. Also bad is the volume level adjust must step through it's highest level before going back to minimum. 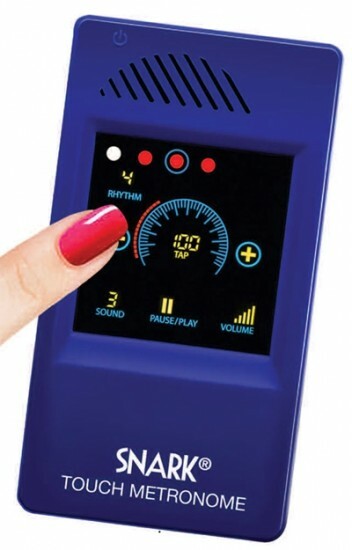 I wanted this metronome for classical guitar practice but those in the house can hear it click through the walls. I love my Snark tuner but this device is a major disappointment. I give a star for having a nice graphic menu. (Yes I've tried putting tape over the speaker. It is ok from under a pillow).